A CERTIFIED FINANCIAL PLANNER™ since 2006 (www.cfp.net/), Joseph began his career in the financial services field in 1997. 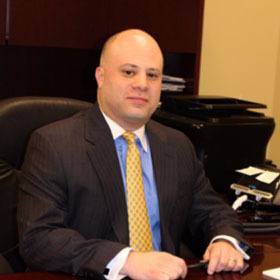 Over the course of the past two decades Joseph has worked for several New York stock exchange members including American Express, Waterhouse Securities and Fidelity Investments in various wealth management roles. In 2011, he founded Landmark Wealth Management LLC, a Securities Exchange Commission registered investment advisor. He currently serves as one of the firm’s three managing principals. Over the years he has counseled families, small business owners and charitable foundations on issues related to retirement planning, investment management, insurance, estate planning strategies, and tax efficient investment strategies. In addition to earning his CFP® designation, he has held FINRA licenses series 7, series 9, series 10, series 63 and series 66. He has also been a licensed agent in both New York and Florida for health insurance, life insurance and variable annuities. Joseph currently resides in Mount Sinai New York with his wife Lisa and their two children.